The San Jamar SI5000 Saf-T-Scoop® Guardian™ system has a dome-shaped end to quickly scoop ice. 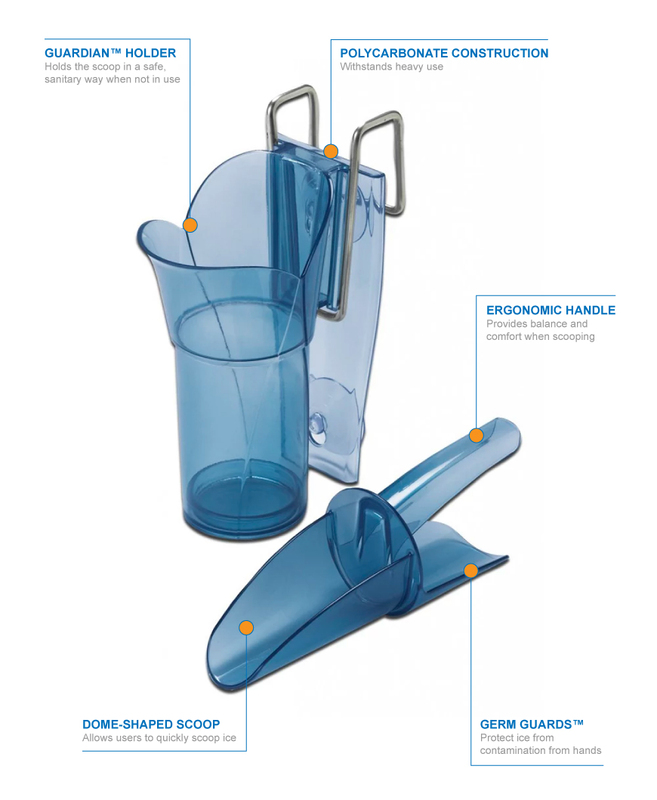 Germ Guards™ on the scoop eliminate contact between ice and hands, and the handle is ergonomically designed to provide balance and comfort. When the scoop is not being used, it can be placed in the Guardian holder for safe, sanitary storage. 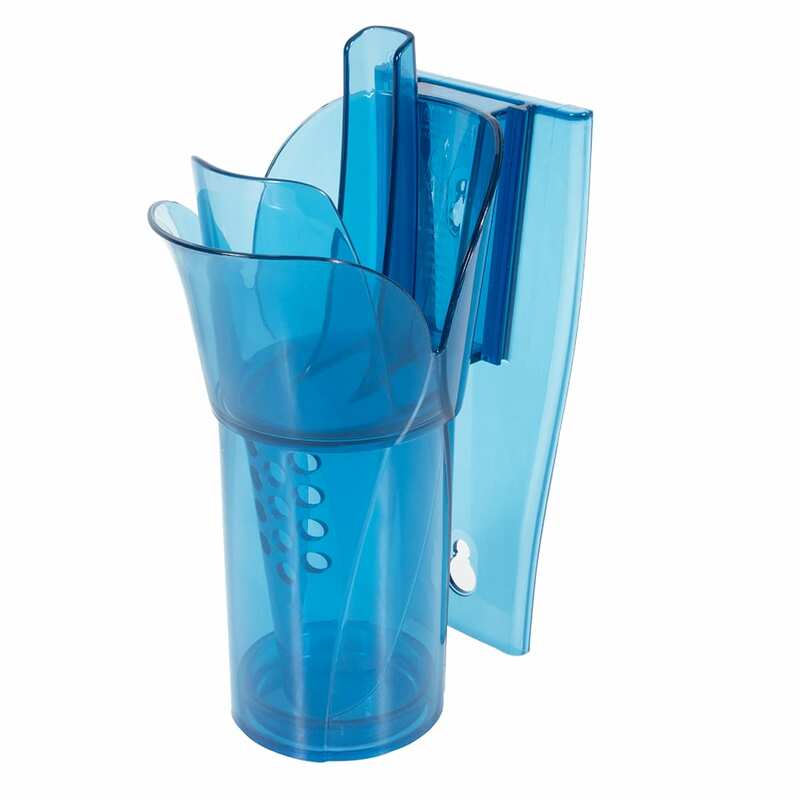 The holder can be mounted in or out of the ice bin with suction cups, wire hanging brackets, and a mounting bracket. 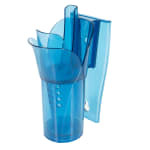 Made of polycarbonate, the San Jamar SI5000 Saf-T-Scoop Guardian system is resistant to bending and breaking. "This is used in a commercial break room. The hand gaurd is a nice feature since it helps prevent the spread of germs. The only bad thing is ice g..."
"Been looking for a product like this for use at our country club. Works great for our ice machines! Only down side is the suction only holds fo..."
"This is used in a commercial break room. The hand gaurd is a nice feature since it helps prevent the spread of germs. The only bad thing is ice gets caught in it and ends up on the floor, which melts and turns into a slip hazard." "Been looking for a product like this for use at our country club. Works great for our ice machines! Only down side is the suction only holds for awhile. Best way is to screw them up. Very durable and easy to clean and install."